You are currently browsing the Collector Model blog archives for February, 2010. I had the opportunity, so I had to make the time to do a new box illustration for the K-7 Space Station Star trek model kit. It was a fun change. 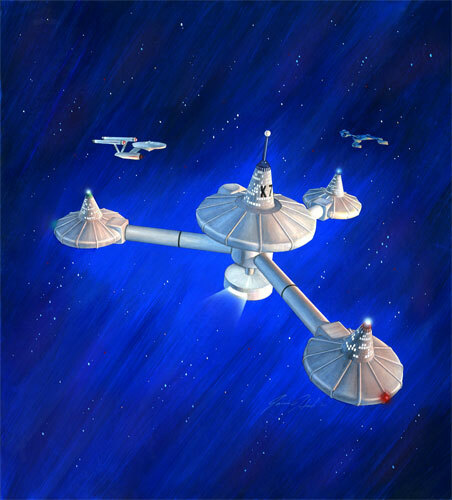 I had to decide whether to do an image showing the “real” station as seen in “Trouble With Tribbles” or more likely “Trials and Tribblations”. I decided it would be best to just paint it as the kit since that’s what’s in the box. The kit is way off model (pun intended) from how the station looked in the shows. I had hoped to achieve an old school look with this one. Since it is going on a retro style box I was hoping to emulate the look of the boxes of the other vintage Star Trek model kits. I overworked it so it got too tight for me to call it a success from that standpoint. (I need to loosen up) This is the raw scan so it will probably look quite a bit different once I tweak the colors and do a little retouching. I’d estimate about 30 hours in it. b/g including ships was all done with acrylics. The station itself was rendered in 15 year old bullet point Design markers. (I chickened out of painting the whole thing or airbrushing it after the last illo.) I went back in with colored pencil here and there and a few touches of gouache. I may have noted here or elsewhere that we are open to posting articles written by modeling fans on our website. The subject could be about any Round 2 model kit. It sometimes takes a while to get them edited and posted up but it is a great way to share insights with others about our kits. The article can basically be about anything. If you want to review a new kit, write about an advanced modeling or want to talk about the history behind any given kit, feel free to submit a pitch. We ask that you be able to write well, take nice photographs as needed to communicate your story and be willing to take a little bit of direction if we feel something could be tweaked about the article itself. What do you get in return? Why kits, of course. 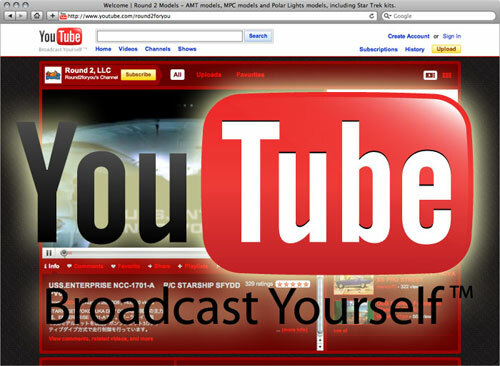 Be sure to see our website for past articles by Bob, Jim Small, Mark Budniewski, Kurt Brown, and myself. They cover many aspects of modeling but there are an infinite number of topics to explore. 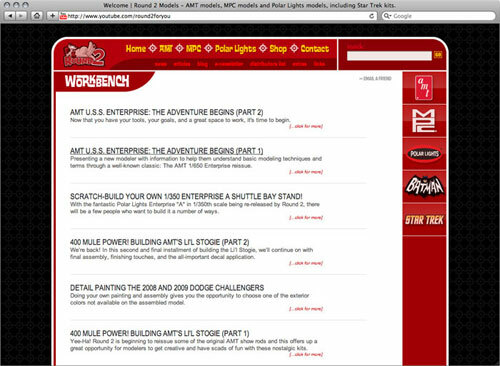 Take a look in our ARTICLES or WORKBENCH sections of the website. Round 2 reserves the right, in its sole discretion, to use or not use any submitted Material. Any parties submitting any idea or written or photographic material (“Material”) warrants that the Material is original with the submitter and does not infringe the copyright or other right of any third party. Further, the submitter agrees that, by submitting the Material, Round 2 or its affiliates and assignees have submitter’s consent to use the Material in any manner whatsoever without further consent or authorization or without compensation to the submitter. By submitting the Material, submitter releases Round 2 or any affiliated party from any liability to submitter or any third party, and in the case of any claim by a third party, submitter agrees to indemnify Round 2. U.S.S. 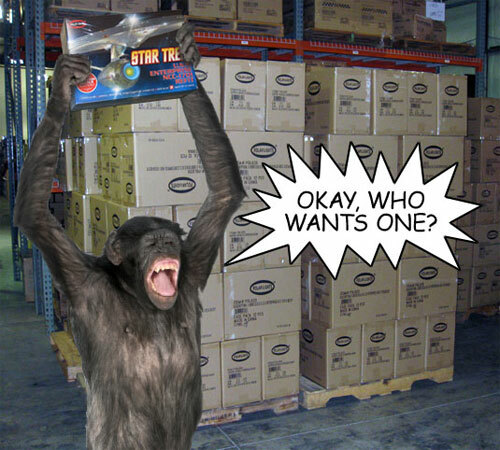 Enterprise 1701 Refit: IT’S HERE! In case you might not have heard, we’ve been developing a 1:1000 scale U.S.S. Enterprise 1701 Refit. It’s kind of been a big thing. Well, they came in today. I bet they all fly back out today too. More are on the way. This batch should hit distributors next week and then they’ll go on to retailers soon after. Get ‘em while they’re hot! Round 2 Model Kits, WeTube… see what I did there? Round 2 model kits has a YouTube channel, Round2foryou a place where you’ll see links to some of our favorite videos related to model kits and the wide variety of products and brands that Round 2 has to offer. We love hearing and now seeing what people are doing with our products and just how they enjoy them on a regular basis. Start your subscription today and let’s see where it all goes — we’re just getting started!